— Oui, et la réponse est bien simple: j’ai une sainte horreur du mystère, je ne supporte pas l’inexplicable. Le moindre tour de passe-passe m’empêche de dormir. My previous forays into the work of Paul Halter were both flawed, but fascinating. Le Roi duDésordre and La Tête du Tigre both had very interesting ideas at heart, but both had problems—Roi more so than Tête in my opinion. 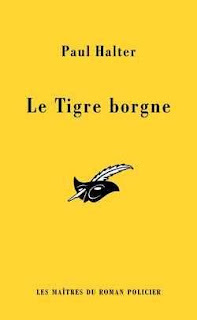 But it was with eagerness that I started reading Le Tigre Borgne (The One-Eyed Tiger). The choice was a strategic one: I’ve already sampled one work from both of Halter’s series: the Owen Burns series (Roi) and the Dr. Twist/Inspector Hurst series (Tête). So, I thought to myself, why not see how Halter can handle himself without a series character? It was either this or Le Brouillard Rouge (The Red Fog), and I’m glad I made the choice I did. Le Tigre Borgne is an unusual novel. It takes place in the 1870s, and much of the action is confined to India. This is not the realistic (yet colourful) India of H. R. F. Keating’s The Perfect Murder; rather, Paul Halter throws realism to the wind and paints a portrait of a magical place where anything can happen, and where a sensible young man like our hero, Patrick Mallory, can witness things that will rock his most elementary beliefs. Halter is actually surprisingly successful in terms of atmosphere this time around—while his Indian setting is extremely romanticized, it’s effective, and it is fascinating. Halter makes an actual place out of his setting; he managed to transport me somewhere else, and captivated me thoroughly. The story starts off rather slowly: Patrick Mallory is given a top-secret government assignment by Sir William Fraser. He is to go to India and pose as a merchant, and through some cunningly devised lies, he is to get close to the Maharajah, Jaswan Singh— the English government suspects he is planning to stir up a revolt. And while he’s at it, Sir William would like him to try and discover the secret behind the Indian Rope Trick, and promises Patrick generous compensation if he can do it. So off young Patrick goes, and he spends several pages getting acquainted with the Maharajah, who is something of an artistic sort, yet at the same time, rather paranoid, seeing threats of assassination where they probably don’t exist. He spends much of time isolated in a palace in the middle of a lake out of fear of assassins, going out for rare occasions such as parades. On his last parade, it seems a young girl named Brinda Roshan caught his eye. She is a beautiful woman, and the Maharajah, obsessed with the concept of Beauty, likes to think that by marrying her, he is marrying Beauty, making it his own. Brinda, however, does not want to become his wife— in fact, she flat out refuses to marry him. But this, instead of outraging the Maharajah, delights him— what individuality, what strength of character! But in the end, he has the upper hand, and he intimates that if she does not marry him, some very unpleasant things may happen to her family or to the man she truly loves, Rajesh. So the unhappy woman is forced into a marriage she never wanted. Meanwhile, the Maharajah gets himself into trouble when he angrily confronts a fakir named Jodahpur. He is convinced Jodahpur is nothing but a charlatan, and exposes to the entire street one of his feats of magic as nothing but a conjuring trick. (It is the classic trick involving multi-coloured sands, where the magician places them all in a bowl, then withdraws completely dry sand of one particular colour from the bowl. I happened to already know the general secret, since Sir Henry Merrivale performed the trick as The Great Kafoozalum in The Gilded Man. There is a slight variation in method, but not particularly major.) Jodahpur reacts angrily, saying that he really does possess magic, and he will prove it to the Maharajah on the seventh day of the wedding celebrations (after which the Maharajah can consummate the marriage with his unhappy bride— that is, if everything goes according to plan…). Come the seventh day, the Maharajah isolates himself in a veritable fortress: he is in his palace on an island in the middle of a crocodile-infested lake, with the troops of his cousin, Rama Kanwar, patrolling the lake. Not only that, ten handpicked royal guards are on the small island with him, keeping watch. They are assisted by an excellently trained baby elephant. As if that weren’t enough, the Maharajah locks himself in a tower, with three doors separating him from the outside world, and no other way of entering his room— even the opening provided by the window is too small, and it’s at the top of a tower with perfectly smooth walls in the first place. Climbing up there would be impossible. To top things off, the final door has an intricately constructed lock, and only one key exists— it always hangs around the Maharajah’s neck. It seems that there is no way the Maharajah can come to any harm— but the sound of a flute, the kind Jodahpur plays, is heard at midnight. The Maharajah is worried, but perfectly all right— but soon afterwards, he no longer responds to those who shout his name. So a group of men go to force open the doors of the tower, one by one, each locked from the inside— and they discover the Maharajah dead, a knife protruding from his back. Halter does an exceptional job here. The solution to the impossible crime is simply brilliant; it is arguably one of the best tricks I’ve ever come across. It is all fairly clued, and the motive is an ingenious twist on an old trick. Motive, method, and culprit all eluded me, and the dénouement simply floored me, as I realized just how deftly Halter played with his clues, how he paraded them right in front of my nose. In terms of plot, there is one plot thread that, in theory, I should be upset about, since the resolution is mainly conjecture, yet the guilty party has no trouble confessing. The plot thread I’m thinking about is the explanation for what one of the lakeside guards witnessed from his post. At the same time, it’s rather an obvious conclusion even without “fair play” clues, and to his credit, Halter doesn’t try mystifying you too much with this aspect. Moreover, its conclusion gives you plenty of time before the solution, as something arising from this plot strand complicate the impossible crime still further. Overall, I have no complaints plot-wise; Halter proves his mastery once again. Halter’s characters are surprisingly interesting this time around, too. The weakest may very well be Brinda, who for the first half is a very conventional leading lady. But as soon as the murder takes place, she suddenly becomes a fascinating character of her own, as she is thrust into a moral dilemma, unsure how to act. I won’t elaborate too much on the details here. As for Patrick Mallory, the hero— he shares my name, and it almost seemed like the author was directly addressing me at times, making for a surreal reading experience… I don’t want to delve too much in depth, but we even get to know more about Sir William, who is only in the book at the start and finish. We learn why he is so obsessed with the Indian Rope Trick, and a tragic mistake he made that forced him to return to England. The plot is gripping. 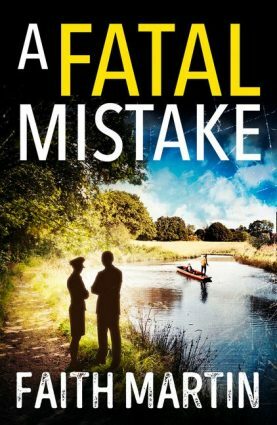 Things start off rather slowly, but they don’t get dull—and once the murder occurs halfway through, everything skyrockets. I couldn’t put the book down. In addition to the impossible crime, there is a second plot thread involving a man-eating tiger who has been terrorizing the local residents. The prince Rama Kanwar enlists the aid of mercenary Jack Burton, once the best shot in the army, now reduced to an alcoholic, miserable wreck. Burton must retrain himself and then goes off to hunt the formidable beast, who has a particular grudge against humans after losing its eye because of the previous Maharajah. The scenes where Burton is in the woods stalking his opponent are thrilling, as you get a man/beast duel to the death— either the tiger falls, or Burton will be killed. There is a third plotline as well, as Patrick Mallory attempts to discover the secret behind a macabre variation on the Indian Rope Trick. This was originally told as a story by Major McGregor in La Tête du Tigre. I won’t go into detail, because I’ll suddenly discover that I’ve retold the entire book. But suffice to say it was left tantalizingly unexplained in La Tête du Tigre, but it’s resolved to full satisfaction this time around. Halter’s genius lies not just in explaining his impossible scenarios, but in coming up with them in the first place. His imagination is simply fascinating, as his crimes are blamed on ghosts, genies, and black magic. Of course, a living, breathing human is behind the crimes— but this is the first time Halter’s atmosphere was good enough to cause you to question this conclusion. One more thing I adored about this book was the sense of humour. There is one scene where Rama Kanwar’s councillors all argue about what kind of melodrama must have taken place when Brinda gave her answer to the Maharajah’s proposal— first they are outraged that she must have accepted, and once they find out she refused, they are even more outraged. Then, while Burton is hunting the titular one-eyed tiger, some characters discuss what they intend to do with the tiger once it’s caught, and Halter makes a very amusing reference to his La Tête du Tigre. As for the novel’s final scenes, I thought I anticipated a somewhat melodramatic twist ending, but I only got it half right. It was a marvellous and effective conclusion nonetheless. Overall, Le Tigre Borgne is a wonderful read, with an excellent impossible crime and a compulsive plot that propels you forward. Halter manages his atmosphere and characters excellently, and he clues his impossibilities excellently. As I’ve said before, the locked-room trick is arguably one of the finest I’ve ever come across. Of the three Halters I’ve read, this is unquestionably the best, and if John Pugmire continues translating Halter, I encourage everyone to pester him until he translates this one. It’s a wonderful read John Dickson Carr himself would have been proud of. I will be leaving for about three weeks for a vacation, where I won't have regular Internet access. I might find time here or there to post a review, but I'm not promising anything. The most likely scenario will involve inundating this blog with posts once I return in June. During this time, I recommend that my readers take a look at some other excellent mystery blogs: Detection by Moonlight, penned by fellow mystery fanatic extraordinaire TomCat (a.k.a. LastCenturyDetective); In Search of the Classic Mystery Novel by Steve, who plans on reading plenty of Ellery Queen-- highly recommended; and Tipping My Fedora by Sergio, another blog full of intelligent reviews. Sergio, incidentally, entirely disagreed with me on George Baxt, and the interesting discussion that resulted guarantees my readership! So take a look ladies and gents, and before long, I will be back with you at the scene of the crime! If only Halter could get translated into English - I've got The Night of the Wolf and enjoyed it a lot, but my French is rudimentary at best - I can ask the way to the beach, but not understand the reply. Fingers crossed someone does one of his books and it takes off, Henning Mannkel style. I have to admit that Paul Halter's imagination and knack for coming up with impossible situations makes you almost forget about his weaknesses, but I really need to read these books for myself. Well, I guess it's time to nudge John Pugmire, and I also have to make puppy dog eyes at someone else concerning another, uncollected, writer of impossible crime stories. What has become of me? A hopeless mystery addict begging for his next fix! By the way, does the title of this blog post refer to Keating's The Murder of the Maharajah? Sort of. I was thinking of just translating the title, but I liked the sound of "Le maharadjah meurt" (The Maharajah Dies) more. And trust me, this was a masterstroke for Halter. I'll be sure to correct that! And I too hope for more translations of Halter. I have really grown fond of his work, and I hope it becomes available for a wider audience! I just received a copy of this book in the mail today. I'll try to translate this into British English after I finish Spiral. It's really too early for me to comment about La Tigre Borgne (and I will be luck if I translate this HALF as well as Patrick did with that one sentence at the top of the page) but I'm deep into Spiral and I've notice one thing he does in that book which he does not in the opening chapter of La Tigre Borgne. In Chapter 22 of Spiral, Quentin says "Ah, elle t’a quand même parlé de moi!" which I'm translating as "Oh, she still spoke to you of me?". The point is, Quentin is a French character, so he uses "Ah" like French people do. However, when Sir William Fraser is speaking to Patrick Mallory, Halter doesn't use "Ah" but "Oh." I think throwing in the odd English word is used to show that although these English character are speaking French in for the benefit of the French reader, they are not speaking French but English. Having read John Pugmire's just translated English edition of Paul Halter's The Invisible Circle, I am now turning my attention to Le Tigre Borgne, and I've actually reached the quote at the top of the page. I doubt that I can do as well a job translating as Mr. Pugmire or even Patrick, but I'm not willing to wait until Pugmire or somebody else translates it for me. Wish me luck! Patrick, because you can read French, you've read more of Paul Halter's work than the rest of us. Is the length of "Le Tigre borgne" unusual for a Halter novel, or has he written other long books? Thanks! He's written plenty of long books, especially lately. I'd argue some of the more recent ones were too long for their own good. I finally finished this book, thanks to my Voyager Kindle which enables me to use Google translate on highlighted text. It's a LOT faster than manually typing text into the computer. It's imperfect, and I hope that eventually somebody like John Pugmire will translate it, but you CAN understand what's going on. I like the setting of this book, and the solution is brilliant. If there's a nitpick, it's that the ending is rather DARK. This is rather hypocritical of me since I've praised the original ending of And Then There Were None and condemned the "happy endings" that are often shown on both film and stage, and in this book I end up wishing for a happy ending.